Georgia’s parliamentary minority European Georgia offers to adopt legislative changes to restrict Russian propaganda in the country. One of the leaders of the party, Sergi Kapanadze says that European Georgia will elaborate a package of amendments and present it to the parliament soon. Kapanadze says they have also started consultations with the other political parties, adding anyone, who wants to take part in the process, is welcomed to join them. European Georgia’s statement came after the spread information that the international South Caucasus media forum, funded by the Russian President’s Foundation, is underway in Tbilisi on September 5-7. “In Tbilisi, there is underway a so-called media forum, where Russian propagandists are meeting their Georgian colleges…Russia finances all this, and this is the mockery of our country. 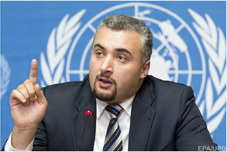 It is sad that this is happening in the 21st century, ten years after the August war, when Russia occupied our territories,” Kapanadze stressed. The MP believes that proper measures need to be taken on the legislative level to eliminate Russian soft power and propaganda in Georgia. “Russian power has been especially enhanced today, including in the political spectrum…I hope that in this process, where other political forces will participate, there will be elaborated such a package that will eliminate the Russian money income and the Russian power projects in Georgia,” he added. Georgia’s Ministry of Internal Affairs (MIA) says they did not allow three Russian journalists to enter the territory of Georgia as they violated the Law on Occupied Territories. According to MIA, Viktor Litovkin, military correspondent of the Russian state news agency "ITAR-TASS," Gennady Bodryugov, President of the International Council of the Association of Russian Society Researchers, and HTB journalist Aleksander Tokarev have been refused entry to Georgia. 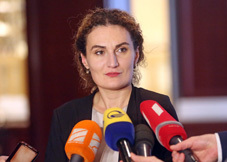 State Minister for Reconciliation and Civic Equality Ketevan Tsikhelashvili said the MIA had acted within the law. She noted that the visit of the Russian journalists had not been agreed with any state institution, and added that they also had violated the Law on Occupied Territories of Georgia. Tsikhelashvili says that in Georgia and also on the occupied territories, Russian propaganda is very active. “Unfortunately, Russian propaganda is a very strongly sponsored mechanism that has penetrated all democratic states. We do not just think about this issue but work on how to deal with this propaganda and take active steps in this direction. We are a democratic state and will appropriately respond if there is a violation of law,” she stated.